When your done with work at the end of the day you are going to need to clean up. Wylaco carries different cleaning supplies to take care of the job. Whether it is rags or soaps we have you covered! Features: Pre-moistened, quick, economical, convenient hand towel and cleaner combined 3-D textured fabric grabs and holds grease and grime Large 9.6” x 12.5” towel size Quickly removes grease, oil, ink, paint, dirt and grime from skin, metals, plastics, from hands and many othersurfaces. Formulated with orange oil for superior cleaning power, and moisturizers fo.. 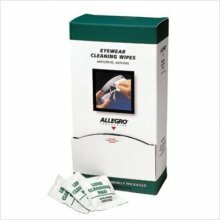 Features: 6 Pack Pre-moistened, quick, economical, convenient hand towel and cleaner combined 3-D textured fabric grabs and holds grease and grime Large 9.6” x 12.5” towel size Quickly removes grease, oil, ink, paint, dirt and grime from skin, metals, plastics, from hands and many othersurfaces. Formulated with orange oil for superior cleaning power, and moisturizers for supe.. Simple Green is one of the most versatile all-purpose cleaners you can buy! It’s non-toxic and biodegradable, without harmful bleach or ammonia. Because it is a concentrate, you can custom dilute Simple Green to clean just about anything. It replaces most cleaners, detergents, degreasers and solvents you’re using now! Discover the value and power of Simple Green and your green will go a lot furth.. Features: SPC SKABKT Spill Control Bucket Kit Allwik Gallons Sorbed per Pkg. 9 Capacity 6 1/2 Gal Height 18 In Dia 14 In Material Polyethylene Color White Leverage Slotted Screw Type Lid UN Certification 1H2/X100/S Standards DOT SPCC NPDS Includes 10 Pads 3 Oil Only SOCS 3 Inx 4 Ft 1 Pair Nitrile Gloves 2 Disposal Bags Instruction Sheet .. Description: The No. 1 selling biodegradable, waterless, petroleum solvent-free hand cleaner that contains no harsh chemicals, mineral oils, or ammonia that can sting cuts and abrasions. Pure, fresh-smelling natural citrus power does the cleaning. With aloe, lanolin, jojoba and now Corn Huskers Lotion for added skin conditioning and protection. Works great on laundry stains and other household.. Heavy Duty Tub O' Towels Don't Call Them Wipes, These Towels Are For Cleaning Up Bigger Jobs Bigger, Tougher And Soaked With A Knock-your- Socks Off Cleaning Solution That Overpowers - Even The Most Onerous Grime Tough On Stains, These Towels Are Loaded With - Lanolin, Aloe And Vitamin E Size:10" X 12" Qty/pack:1/pack .. Heavy Duty Tub O' Towels Don't Call Them Wipes, These Towels Are For Cleaning Up Bigger Jobs Bigger, Tougher And Soaked With A Knock-your- Socks Off Cleaning Solution That Overpowers - Even The Most Onerous Grime Tough On Stains, These Towels Are Loaded With - Lanolin, Aloe And Vitamin E Size:7" X 8" Qty/pack:40/container ..
Tub O'towels Carpet/upholstery Wipes Tough, All-in-one Cleaning Formula Quickly - Removes Toughest Stains In Carpet & Upholstery Seriously Tough, Fiber-weaved Wipe Allows - For Vigorous Scrubbing On Multi-dimensional- Surfaces In Close-knit Fibers Removes Stains & Helps Prevent Future Stains Use For Pet, Food & Grass Stains, Blood, - Grease, Beverages, Paint, Ink, Cosm.. Granite & Marble Polishing Wipes Tub O'towels Polishing Wipes Spotlessly Cleans - Granite & Marble Surfaces With Powerful Formula No Harsh Chemicals Or Additives Safe To Use Every Day Removes Grime, Grease & More While Providing - A Polished Surface Provides Tough Protection Against Future Soiling Use On Any Non-porous Hard Surface Countertop Qty/pack:40 Wipes/pack .. Stainless Steel Polishing Wipes Tub O'towels Stainless Steel Wipes Easily Removes Greasy Fingerprints, - Watermarks, Good, Grease, Oils & More Formula Easily Shines And Polishes Provides Lustrous, Streak-free Finish Formulated To Repel Stains & Grime - Leaving A Protective Coat Use On Any Stainless Steel Surface Qty/pack:40 Wipes/pack .. Heavy Duty Tub O' Towels Don't Call Them Wipes, These Towels Are For Cleaning Up Bigger Jobs Bigger, Tougher And Soaked With A Knock-your- Socks Off Cleaning Solution That Overpowers - Even The Most Onerous Grime Tough On Stains, These Towels Are Loaded With - Lanolin, Aloe And Vitamin E Size:10" X 12" Qty/pack:90/container ..
HYDRA(R) BONE SHAPED SPONGEDurable poly material spongeWash out clean, dry soft and uniform in qualityBone shape for easy grippingDimensions: 8-1/2" x 4-3/4"x 2-1/2"..
2-PACK CELLUOSE SPONGESCellulose scrub spongesGood for cleaning and scouring3/4" x 4.41" x 7.41" - handy sizeAbsorbent..
WINDEX WIPESPre-moistened wipe that are easy to use for -cleaning glass and other surfacesGreat for glass, mirrors, chrome and -touch-up cleaningLeaves streak-free shine28 count pre-moistened wipes per -resealable flat packWipes measure 7" x 10"..
WINDEX BLUE FORMULAFor glass & moreWhisks away dirt without streaking/filmingUse on stainless steel, chrome, tile, etc.SIZE:26 Oz. Spray..
WINDEX BLUE FORMULAFor glass & moreWhisks away dirt without streaking/filmingUse on stainless steel, chrome, tile, etc.SIZE:32 Oz. RefillCOLOR:.. CONCENTRATED WINDOW CLEANERRemoves tough dirtLeaves no film, foam or streaksBiodegradable, skin-friendlySuper-concentrated1 liter bottle makes 26 gallonsSIZE:1 Liter..
GOJO(R) POWER GOLD HAND CLEANERAdvanced hand cleaner specially formulatedRemoves the heaviest grease and grime such as:tar, oil and asphaltContains emollients and conditioners but -no harsh solventsNon-irritating scrubbing particle work to -loosen and remove most deeply embedded soilsApply to dry hands, then rinse & wipe offSIZE:4.5 Lb.COLOR:..
O'KEEFFE'S WORKING FEET CREMESkin therapy formulated for working peopleRecommended by dermatologistsPromotes healingHypo-allergenicFragrance freeAlcohol freeOil freeWater-based..
O'KEEFFE'S WORKING HANDS CREMESkin therapy formulated for working peopleRecommended by dermatologistsPromotes healingHypo-allergenicFragrance freeAlcohol freeOil freeWater-based..